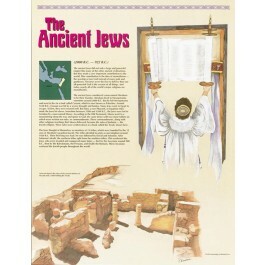 This educational poster of the ancient Jews features artistic renderings of the ancient fortress at Masada, and a rabbi holding the Torah. 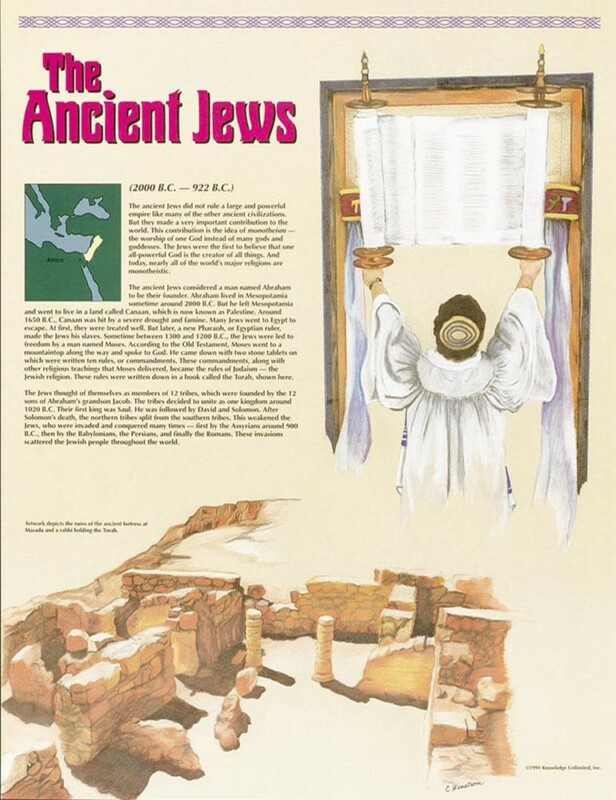 It also contains a concise and well-explained background history of the ancient Jews, and where they were centered from 2000 B.C. to 922 B.C. Although the ancient Jews never ruled a large empire, they made very important contributions to world cultures, which endure today. These included the concept of monotheism, and the rules embodied in the Ten Commandments, which were written down in the Jewish Torah.